i used regular Fairchild ones, 2N3904/06, didnt matched them at all. if it helps i put them together with thermal grease. maybe my test is not so clear, i'll explain better. i have the lite ,midi2cv, it gots only 5 octaves. i hope i explain this better now. I've soldered thru-hole trannies on the original smd pads (not easy) and now i get 8 octaves perfectly in tune. 9th octave is a tiny bit off. Used 3904/3906 as you did. Been off these forums for a while. 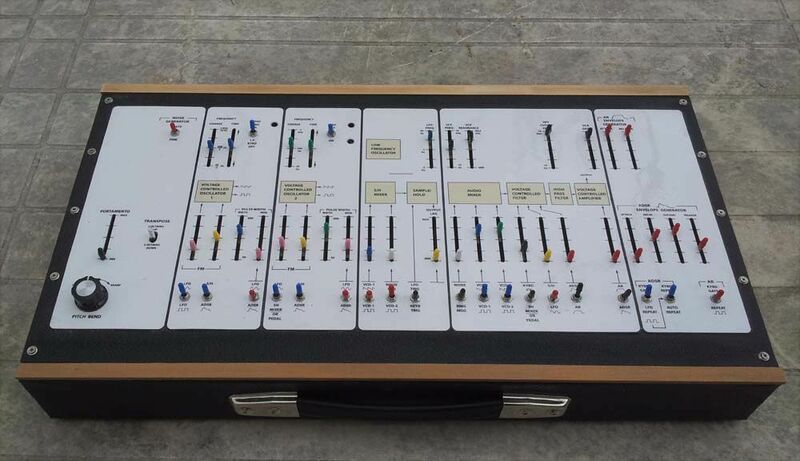 Does anyone sell already etched PCB's for this Arp VCO? I'll have dual VCOs + ringmod PCBs to sell in MOTM and EURO format really soon, will be SMD tho. Just need to order an new prototype to validate some changes. Check my sig for more info (in projects section). SMD - interesting. How did you solve the issue with matching of the BJT's and possible JFET's i wonder? Results are pitiful with smd transistors for the expo pair but quite good with thru-hole 2N3904/3906. I had matched a series of transistors so i used a pair with the same values and epoxied them together. So it's not a matched pair per say but it should be really close. I get 8 octaves of usable tracking, 9th octave is a bit off but stll usable. I've ordered some matched pairs in sot-323 format (BC846bpn & mmdt3946) to test, If it doesn't work i'll stick with the thru-hole pair. Don't think the fets need to be matched. Thought so.. been looking for a alternative myself, to match SMD BJT's & JFET's. I would be highly interested on how you find the matched SOT-23's to work, please let me know once you have tried them. Well matching is for temperature stability so it won't affect tracking anyways, what i look for is having the two but in one package possibly on the same die (i doubt they will). BTW why do you think the FETs should be matched? I'll keep you inform of the results. Yes, sorry, i meant drifting not tracking. Regarding FET's, I'm just going by own experience here regarding another kind of related VCO. Would be nice if there was a SMD option, thats all. Anyhow, looking forward to your results! Nice job my friend, well done! Any vid clip to see the beast in action? PS Where did you get the slider and switch caps from? Where did you get the big pcb's boards from? Thanks for the pointer to the caps, I have been looking for them at a reasonable price for ages.